Hello there and a happy Friday to you! 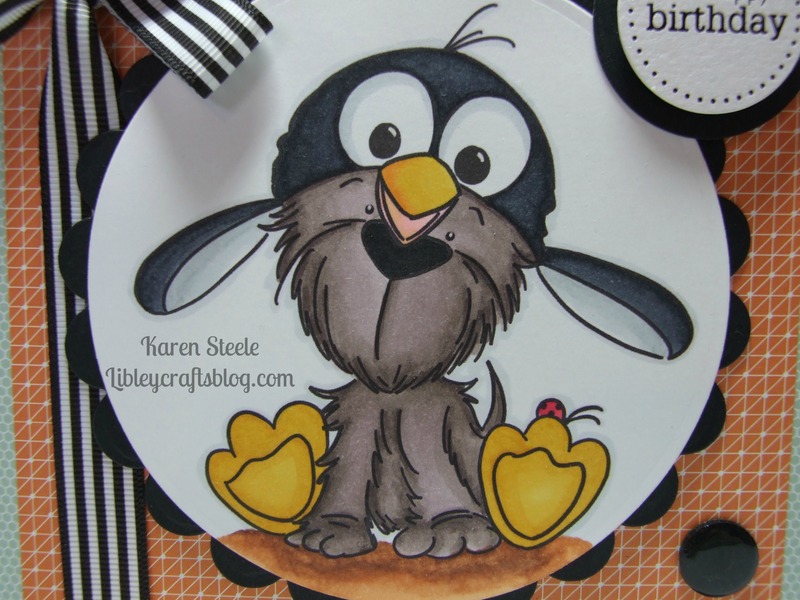 I thought I would kick off the weekend by sharing this card that I have made for my friend’s daughter using a gorgeous digi stamp from Sassy Cheryl’s Stamps called Chilly Willy Bella! Doesn’t Bella look so cute dressed up as a little penguin?! I also used Spellbinders Circle and Scalloped Circle Dies, Round Epiphany tool, ribbon, die-cut sentiment from Craftwork Cards, papers from Papermania ‘Happy Days’ stack and Spectrum Noirs to colour. Oh Karen! this is just TOO cute! Super CUTE image that would bring a smile to anyone’s face! And, love the awesome striped bow! So sweet! I love this little guy and she will too!! Oh, my! This is too precious for words! Darling card, Karen! Hee hee Oh my goodness… what a hoot this is. Fun image, great coloring and so fun. 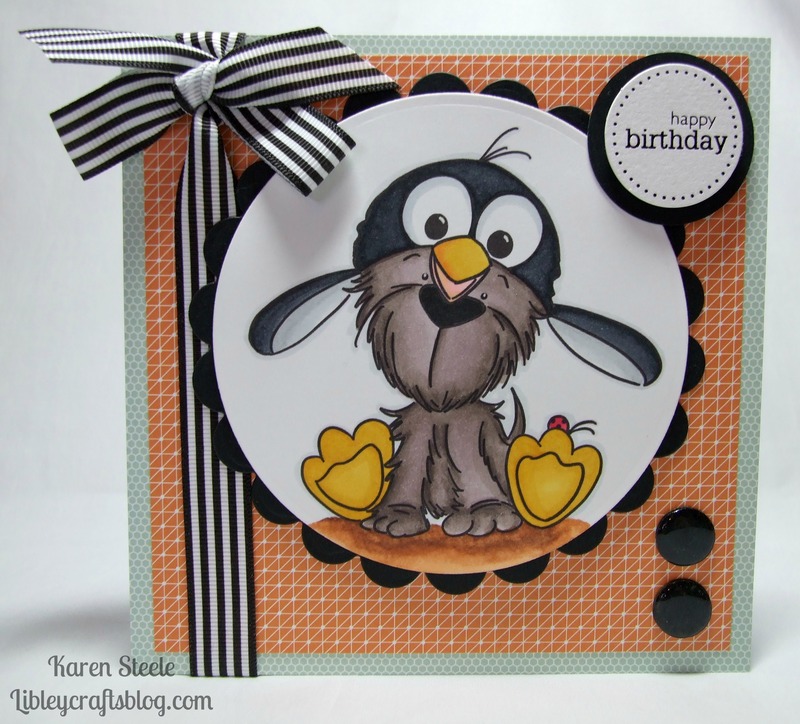 Absolutely darling, love this distressed up puppy and you colored it so well! Great ribbon detail too.